Are You Janet’s Biggest Fan? Janet Jackson was in the UK this weekend to promote her current compilation, ‘The Best’. After an X-Factor performance on Sunday, Janet raced over to The O2, where 95.8 Capital FM were hosting their annual Jingle Bell Ball. 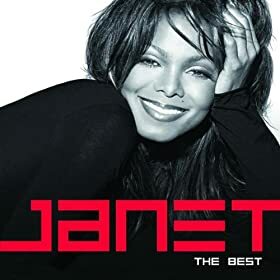 Janet was headling the second of two nights, she was on stage for around 10minutes performing medley’s of her hits plus new single ‘Make Me’ and it was 10 of THE best and most exciting minutes ever! A definite highlight! To promote the new compilation, a competition to find Janet’s biggest fan is underway… the prize is a signed artwork print! The interactive quiz is full of questions about Janet’s career including singles, albums, videos, films and more… you can give it a go by clicking here.